Christian's journey to the City of Gold and redemption has been superbly abridged by Geraldine McCaughrean making it a gripping and compassionate adventure story for children. Stephen Tompkinson's unsensational reading keeps the pace alive without ever labouring the allegory. He captures Christian's wonder as he travels on his bizarre journey surviving temptations and monsters and out-performing others, such as Mrs Smug, who might think to take short cuts. 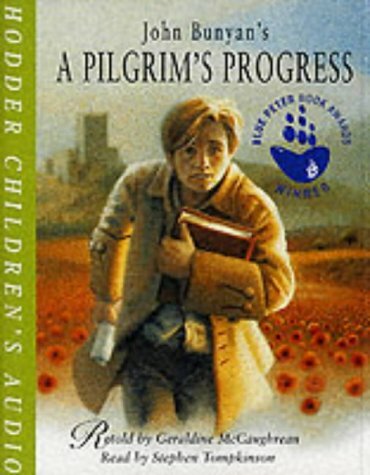 For those who will never read A Pilgrim's Progress this is the perfect way to get to the heart of it without ever bothering to.